Friday I float the Delaware with my buddy Bill. Saturday, we'll wade a bit hoping that the slowly warming conditions of this long delayed spring might turn on the bugs in a way we haven't seen yet. And while I'm at the desk tying flies and fantasizing about the two days of angling, my eye is on the calendar, Thursday's calendar to be exact. 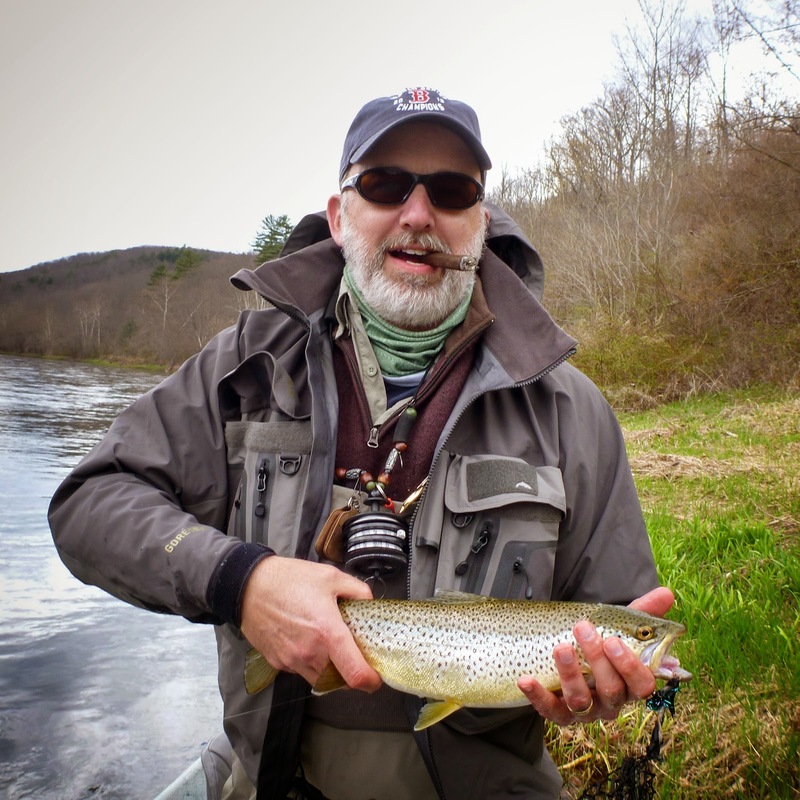 Somewhere in Thursday's calendar is the hope of a few hours in the evening for casting to impossible fish at the lodge's eddy. But with two plus hours in the car I won't get there before last light unless Thursday's calendar can be wrestled to the ground and forced to submit time between conference calls so I can point the fish sled towards Hancock. Somewhere in there is hope. I just have to find it. If you have bad luck it is because you didn't take me. Jus sayin. Also: try an ant!